Bad credit may limit your options to credit but it does not necessarily cut you totally off from the credit card industry. According to Fico, Inc. 25.5 percent of consumers now have a credit score of 599 or below…that translates into 1 in 4 Americans with a credit score most lenders consider high risk. Fico further states, “It’s unlikely they will be able to get credit cards, auto loans or mortgages under the tighter lending standards banks now use.” Fico based its figures on consumer credit reports as of April 2010. The desire for a credit card does not solely rest with spending. Credit cards are needed in certain situations and a matter of convenience in other situations. Renting a car, reserving a hotel room and even an emergency repair may involve the need for a credit card. While the options for getting a credit card with bad credit are limited and you may believe you cannot qualify for a credit card, don’t give up so easily. There are a few reliable sources that have proven successful for many consumers with less than perfect credit. Unsecured credit cards can be difficult to obtain if you have bad credit. The options are limited but there are a few that exist, with good interest rates. CreditCardReviewCenter.com has various unsecured options for people that need to rebuild credit. Some credit cards will prequalify you without a hard pull to your credit report. Pre-qualify Now! Gettington Credit is an unsecured retail card. There is no annual or over-limit fees, a low APR and two payment options. Customers can shop online with confidence knowing there is fraud liability protection. Easily manage your account online while choosing from top brands from electronics and housewares to jewelry and apparel. Get the credit you deserve to buy the products you love at Gettington.com. Apply Now to get and instant credit response. Secured credit is a great alternative just in case you cannot get approved for unsecured credit. 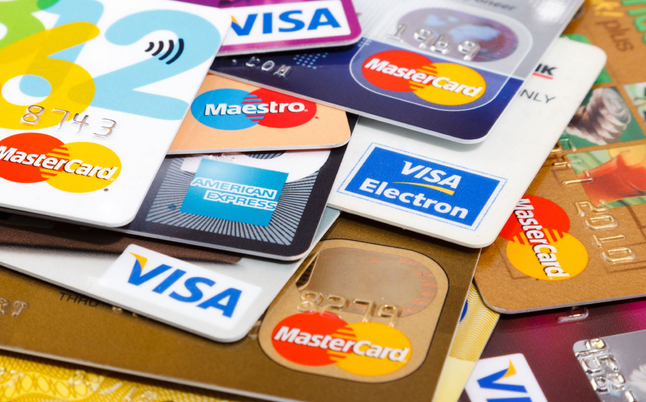 There has been a proliferation of prepaid cards which work just fine for some consumers. But if you want your payment history reported to the credit bureaus a secured credit card is your only choice if you cannot get an unsecured credit card. Prepaid cards do not report to the credit bureaus because they are not a line of credit extended to you. Consumers with bad credit need to replace bad credit with good credit. The First Progress Platinum Elite MasterCard® Secured Credit Card is designed to help individuals build or rebuild their credit. This full-feature platinum secured MasterCard to rebuild credit offers worldwide acceptance and a credit line based on a security deposit, rather than on a credit score. The security deposit can be as low as $200 up to $2,000. Avoid any credit card offer that is too costly. Even though the Credit Card Act of 2009 capped upfront fees to 25% of a credit card’s limit, some subprime credit card issuers are finding ways around the law by charging upfront processing fees. For some consumers the upfront fees may be worth rebuilding credit. However, you must keep in mind credit card balances should be kept to no more than 30% of the available credit limit in order to increase credit scores. Find more easy approval credit cards that help build credit.